Pedal for Peace participants prepare for the ride. 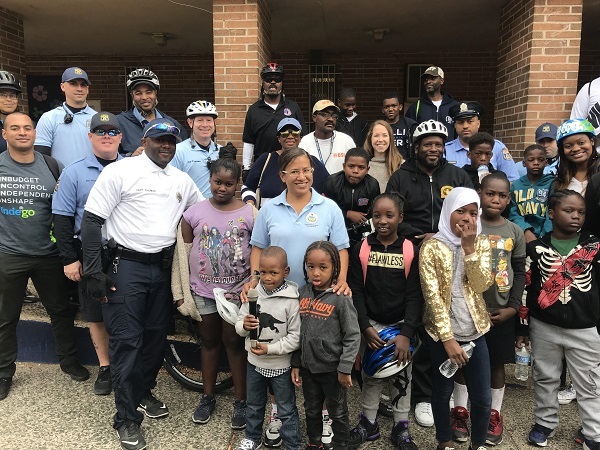 The Town Watch program in Philadelphia is trying to connect police officers to the communities that they serve — using Indego bike share and bike rides as common ground. 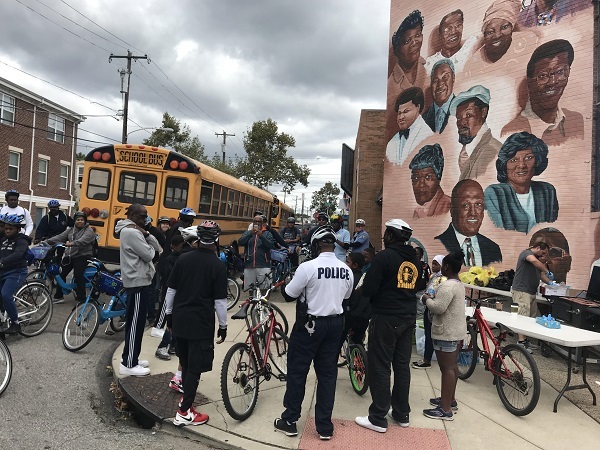 The program, which has existed in various forms since 1996, encourages community leaders to host bike rides in coordination with members of the police force. Town Watch provides assistance in planning the events and organizing local residents to attend. 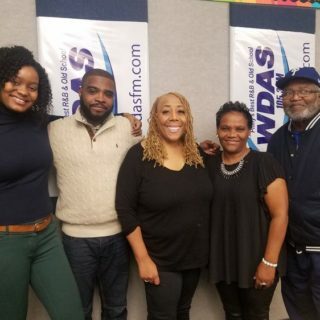 Anthony Murphy, Executive Director of Town Watch, said that, in addition to trying to build relationships, the program works to activate neighborhoods where residents can sometimes be afraid to step outside their own door. 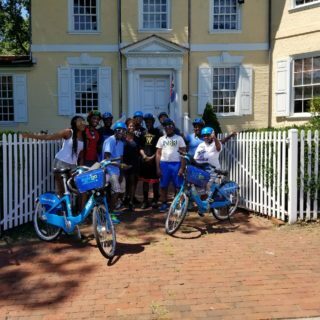 The program has relied heavily on Indego since the system’s launch, so that residents who need a bike to participate in the ride can have access to one. Indego also brings helmets for the attendees. 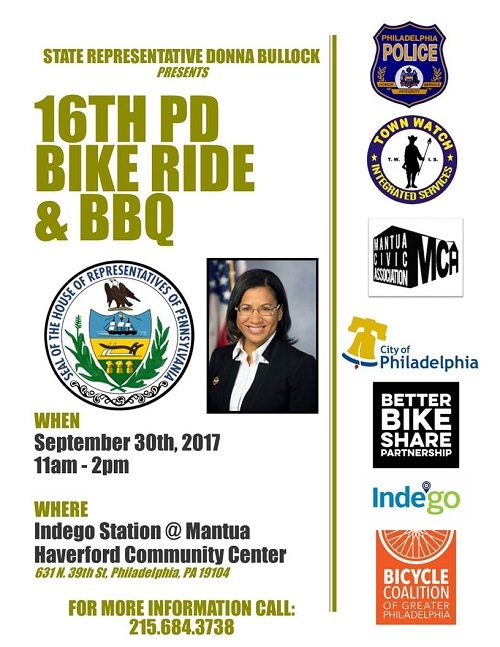 A great example of the Town Watch and Indego partnership was this September’s Pedal for Peace ride, put together by the 16th police district, Pennsylvania State Representative Donna Bullock, and Better Bike Share partners. After the ride, participants returned to the community center for music and barbecue. Kids showing up to participate in Pedal for Peace. Town Watch has gotten lots of positive feedback on its programming. Murphy said the most common question he hears from residents is, “When are you going to do a ride in my neighborhood?” Additionally, he says that police captains and inspectors tell him they are thankful for the program. Still, some community members are less enthusiastic about an initiative that increases the police presence. 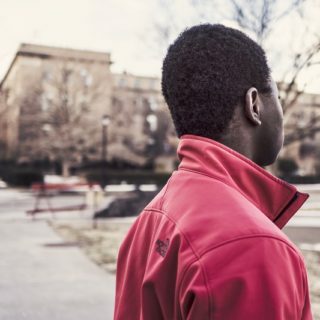 This fact may not be surprising, since many communities of color deal with higher rates of incarceration and police violence in comparison to others. In recent months, initiatives such as Vision Zero have come under fire for relying on police enforcement, which activist Oboi Reed says could exacerbate racial profiling and police harassment. “There are certainly neighborhoods where folks are not as open and warm and receptive of the program as others,” said Murphy when asked how Town Watch deals with strained community and police relations.